The foreign investors are legally treated like the Romanian investors that is the reason why they submit to the same legal norms just like the native investors. There are no restrictions compared to the Romanian investors. 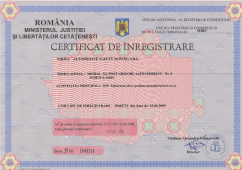 The Romanian law provides protection against expropriation and nationalization. The foreign companies have the opportunity and the right to create a totally new company or branches dependent of the mother company. There is the possibility of opening a new independent branch or of a Joint Venture. Although in Romania there are 5 company types, it proved that the most used is the Ltd. Its features are similar to the German GmbH. After the registration at the Chamber of Commerce and Industry, the company enters its full rights.